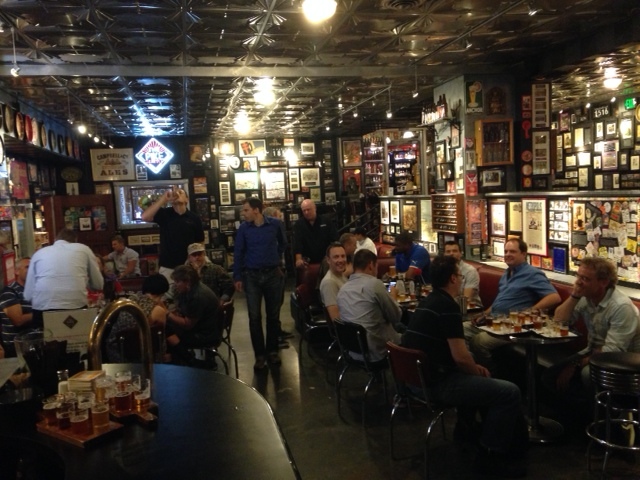 Last night we had our get together for Oracle ACE members at Kscope14. Of course food and drinks were great, but a lot more important was the crowd. I am surprised to see how fast this ACE program is growing, and I believe the impact to our Oracle community is gaining momentum with it. I will miss Kscope14 and I will submit some topics to Kscope15 soon. I already have a few new topics in mind, tailored to this “developers” Oracle Users Group at ODTUG. Kscope14 has been great. I have attended a few sessions, and I enjoyed both the content and delivery. I am amazed to see how many topics are completely alien to me. And a new area of personal interest awakened on me yesterday: APEX! I would say: Once a Developer, always a Developer! What I like most about Oracle Users Groups and Oracle ACE activities in general, is the opportunity to share with fellow techies, and learn from each other. Sessions are important, networking is important, but it is those short but intensive discussions on an aisle or booth that make an impact on me. It is refreshing to acknowledge there are many other passionate techies that would rather have an informal design discussion than watch the world cup! I met Vikki from the Oracle ACE program and I finally put a face to a name. I actually met in person many other peers that I knew only by name or on the media. This Oracle ACE program is helping to build interrelations that translate into a better integrated Oracle community. My kudos to the organizers of both Kscope14 and Oracle ACE. I take back home a great experience and a strong desired to continue contributing to our Oracle community.